Share your love of fishing and boating and you’ll make a child this happy. The next time you head out on the water, take someone boating, fishing or sailing who has never done it before. 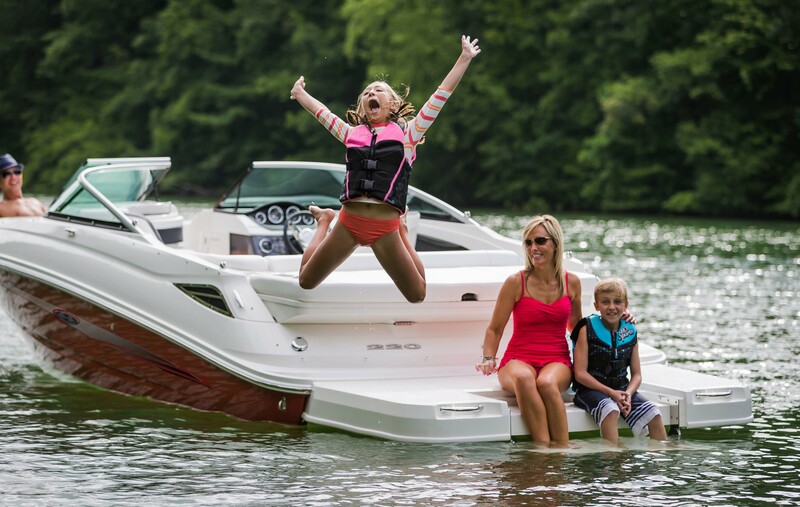 Let them experience the same fun you have aboard your boat. Find the time to teach someone how to run a powerboat, how to sail, or how to catch a fish. It’s an activity that can last a lifetime and keeps families together. If you don’t have a boat, TakeMeFishing.org offers some ways to celebrate the week and to get out on the water, as well as free fishing days (days you can fish without a license) offered by many states. Learn to Fish: Watch instructional videos and read tips from pros on how to cast, tie knots, and make fishing rigs at the takemefishing.org “How to Fish” section. If you are new to boating, BoatUS has all the information you need on how to select and find a boat that’s right for you and be safe on the water at BoatUS.com/NewToBoating. Or visit www.Youtube.com/BoatUS to learn basic boat-handling and fishing skills.